Do you want a new perspective on life? Just add a bit of color! Studies suggest that colors not only have a strong impact on our moods but provide deep cultural connections as well as offer rich symbolic meanings. Changing up your room by adding colorful accents is a quick and easy way to have your space take on a whole new feel, but where should you begin? Go bold, but don’t get gaudy. A bright yellow sofa in the middle of your otherwise subdued living room may be a bit too much to handle. Instead, think about incorporating brighter colors into a room by adding smaller decorative pieces. Two vividly colored throw pillows offer just enough of a pop of color to be provocative without hitting you and your guests over the head. Save your boldest colors choices for pillows, throw rugs, artworks or curtains. Work with what you have. If you do not plan on renovating your entire room, you need to take into consideration its current palette to avoid creating too much of a clash. This is where sticking to a few basic colors and choosing an accent color which works with the main color of your room is the smartest way to go. Perhaps you already have a favorite decorative piece, and you can replicate its color with other pieces around the room. Stick to the primaries. If your room is is already mostly decorated in reds, blues or yellows (one of the primary colors), then selecting an appropriate accent color is clear. 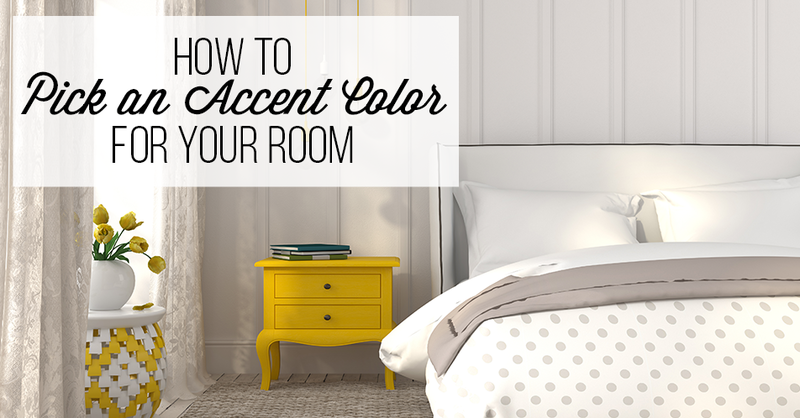 Opt for either of the two remaining primary colors as accents. Of course, you may want to play with the intensity of the colors to find the best mix. Many homeowners prefer to use softer tones of a primary color for larger areas while choosing bolder shades for smaller accents. Invest in a color wheel. Professional designers like to use color wheels because they make coordinating the look of a room simple. There are several ways to find ideal accents colors using a color wheel, but one of the most straightforward methods starts by determining the base color of your room. The base color is your room’s main color. After finding the base color on the color wheel, draw an equilateral triangle. Either of the colors in the corners of the triangle should work as an accent. Now that you know what which accents colors will work in your room, you can find the perfect accent pieces at Wickmans Furniture. For more than a generation, Wickmans Furniture has been helping customers in the Thousand Oaks area of California decorate their homes. Come into the 35,000 square foot showroom to browse over $3 million worth of home furnishings. Whatever you want, you can find it here. Open seven days a week. Call 818-991-4800 or drop by today for great deals.